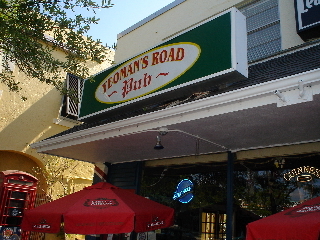 DAVIS ISLANDS – Yeoman’s Road Pub is quite a contradiction. It is a small town bar in a big city, a delicious lunchtime food spot and a vibrant music venue with a beer menu filled with top-shelf imported bottled beer and inexpensive, domestic drafts. But don’t think for a second that these oppositions have given Yeoman’s a two-faced personality. This bar knows exactly who it is. 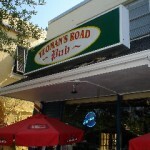 Located in the backbone of Davis Islands, Yeoman’s is one of the most inviting and accepting neighborhood bars of this tight community. It is literally a place where everyone knows your name and the name of the guy sitting next to you and the names of the family in the booth behind you. It is likely that on your first trip to Yeoman’s, you might not believe this when you walk in, but you will when you walk out a couple of hours later knowing everyone at the bar. Yeoman’s is a little bit of everything that welcomes in pretty much anything. So at lunchtime it isn’t unusual to see crowds of suits and skirts from surrounding office buildings and downtown businesses sit next to blue collared painters and construction workers. Sure, their attires may differ, but their tastes do not. They are there for the Yeoman’s “Famous” Philly Cheese Steak or the half pound Island Burger or the unusual and delicious Fergie Melt. From the outside Yeoman’s may not look like your typical lunch spot, but be advised their food is as good as the late night music and extensive beer list. It is true that Yeoman’s may be more well-known for their happening music scene. Three nights a week, Yeoman’s rocks with some of the best local jazz, funk, and blue bands in Tampa. And this English Pub isn’t just a place where these musicians perform; it is where they hang out. 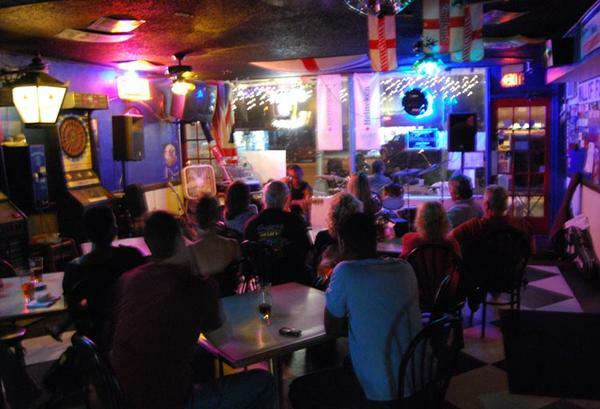 Yeoman’s is part of the core of South Tampa’s local music scene making it a great hangout for musicians and wannabee-musicians alike. Yeoman’s hosts a Tuesday Open Mic Night so anyone can sing or play center stage. But really what is at the heart of Yeoman’s? Beer. And lots of it. Yeoman’s beer menu includes 16 varied draught beers and an 80 plus bottle selection. So whether you enjoy an Oatmeal Stout or a Blueberry Ale or simply a classic Budweiser, Yeoman’s has a beer to pacify your palette. Of if you just want to try one of everything, you can do that too. Sign up for the Wall of Foam and complete the challenge of drinking 90 different beers in 90 days. If you succeed a personalized wooden board with your name on it will be nailed to the wall to commemorate your efforts. This is not as easy as it sounds. Sometimes one bottle of beer is equivalent to two or three depending on alcohol content and size. Just because you can drink eight Bud-Lights in one night doesn’t mean you can drink as many beers when sipping on the likes of an Avery Beast and Piraate. It is a Challenge for a reason. It may seem like the checkered linoleum floors, luminous neon beer signs and multicolored lights streaming from one wall to the next are what makes Yeoman’s such an eclectic location day or night. But it’s not the striking décor that makes the bar so diverse. It’s the attitude of the people inside. Owners Richard and Connie Bond, parents to three and married for over 30 years, never imagined that the bar they bought five years ago would become such a huge part of their life. But as they continue to welcome each new customer as though they were a long lost child or an old friend, I don’t see their Yeoman’s family shrinking anytime soon. And cheers to that!